Frozen Bank Accounts! 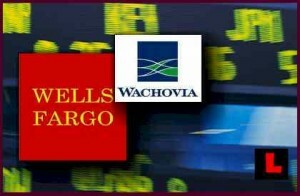 Watch Out for Wells Fargo and Wachovia! Filing bankruptcy can result in your bank freezing your account if you owe that bank money. It’s called “setoff,” and I wrote a post warning about this here in the Charleston Bankruptcy Blog. But what if you don’t even owe the bank money? Is there still a danger of the bank freezing your accounts? For a long time, the answer was “no.” But now Wells Fargo and Wachovia (Wells bought Wachovia) have a policy of freezing customers’ accounts once they file bankruptcy. Wells Fargo/Wachovia (I’ll just refer to them as “Wells”) has been doing this out west for some time, but not here in South Carolina. However, last week Wells notified one of our South Carolina Chapter 7 bankruptcy trustees indicating that it was holding a customer’s funds in one of that trustee’s Chapter 7 bankruptcy cases. Why is Wells Doing This? When you file bankruptcy, almost everything you have–all “legal and equitable interests”–becomes property of your bankrupty estate. This includes your bank accounts, along with all your other property. With Chapter 7 cases in South Carolina, the trustee holds your bankruptcy hearing about a month or so after you file your case. Providing you have available exemptions for your bank accounts (“exempt” property is what you are allowed to keep), the trustee “abandons all scheduled assets.” This happens in about 95% of bankruptcy cases. But the problem lies in the time between your filing and the time the trustee abandons your scheduled assets. During this part of the bankruptcy process, Wells’ policy will result in your bank accounts being frozen. Wells’ position is that your account is bankruptcy estate property and that it has a duty to contact the trustee about the funds to find out whether it should release them. Most trustees will respond immediately, especially if there are small amounts at stake. You hope, at least. Is Wells Required to Do This? No. No other lenders are doing this at this time. Furthermore, Wells has been sued for this practice. As a practical matter, it would be nice if Wells minded its own business and dealt with more pressing concerns like responding to loan modification requests and working with financially troubled borrowers. Wells isn’t any more required to freeze your bank accounts when you file bankruptcy than your landlord would be required to padlock your home. This is yet another chapter in the continuing saga of misplaced bank priorities–essentially ignoring what matters and obsessing about irrelevant minutiae. But as comedian Ron White says, “You can’t fix stupid.” And we apparently can’t get banks to focus on mountains rather than molehills. See the financial meltdown of recent years for more details. 1. GET YOUR MONEY OUT OF WELLS FARGO AND/OR WACHOVIA! 2. GET YOUR MONEY OUT OF WELLS FARGO AND/OR WACHOVIA! 3. GET YOUR MONEY OUT OF WELLS FARGO AND/OR WACHOVIA! If you don’t, this will cause big problems for you. If your paycheck gets deposited the day before you file bankruptcy, and you’ve written checks against it, they will bounce. And since you’re filing bankruptcy, we know you’re financially strapped. That means for many of you you’ll end up behind on your mortgage (maybe even one to Wells or Wachovia! ), miss car payments, and be unable to pay for food while your bankruptcy trustee and Wells–likely at a glacial pace–sort all this out. Avoid these problems by opening accounts at a bank (1) other than Wells Fargo or Wachovia, and (2) to which you do NOT owe money. Thank you for this bit of info! I really wish I had known this prior to filing Ch 7! I am going to seek action against Wells, as they have left me with no means to live! Also these were my student loans in my account…not assets. Shame on them! We have a choice when picking a bank. Such bad faith its incredulous! That is so crazy…I hope they get slapped with huge fines for violating the automatic stay. I think it’s a good idea to move any funds from any bank that you owe money at to another bank before filing bankruptcy. But obviously you gotta worry about Wells even if you don’t owe them money. Insane. Pull your money out! Wells just did that to us. I had $20 on me at the time. I wish I had known as well. Nobody warned us. I’m in on any suit againt them! Can I recently say what a relief to seek out someone who genuinely knows what theyre discussing over the internet. You certainly learn how to bring a concern to light and produce it critical. The best strategy to ought to look at this and fully grasp this side from the story. I cant think youre less popular because you completely contain the gift. So glad I came across this website before I went to my attorney’s office to file my Chapter 7 on Friday. I am going to take all of my Wells Fargo accounts down to $1 later this week and move my money to my credit union. Thank you for this wonderful and hilarious post. Wells Fargo should be focusing on their core mission, banking, not being a sheriff. By the time one files for chapter 7 bankruptcy, they are out and down, and for Wells Fargo to make life even harder for them, is heartless. I can understand of the filer owes them money, but even if you don’t owe them money! That’s crazy. No wonder a lot of people dislike Wells Fargo. I am actually going to close all my accounts with them if that’s how they conduct business. Shame on you Wells Fargo! Thanks again for such wonderful public service Mr. Russell A. DeMott.